This dual-ended Precision Brow Pencil sculpts and tidies your arches with minimal effort. A well-shaped brow should elegantly frame your face and bring a make up look together without being too prominent itself – and this is the perfect product to help you achieve that effect. With a flat tip pencil at one end and a spoolie brush at the other, you can seamlessly define and tidy brows without the dreaded ‘drawn on’ effect. 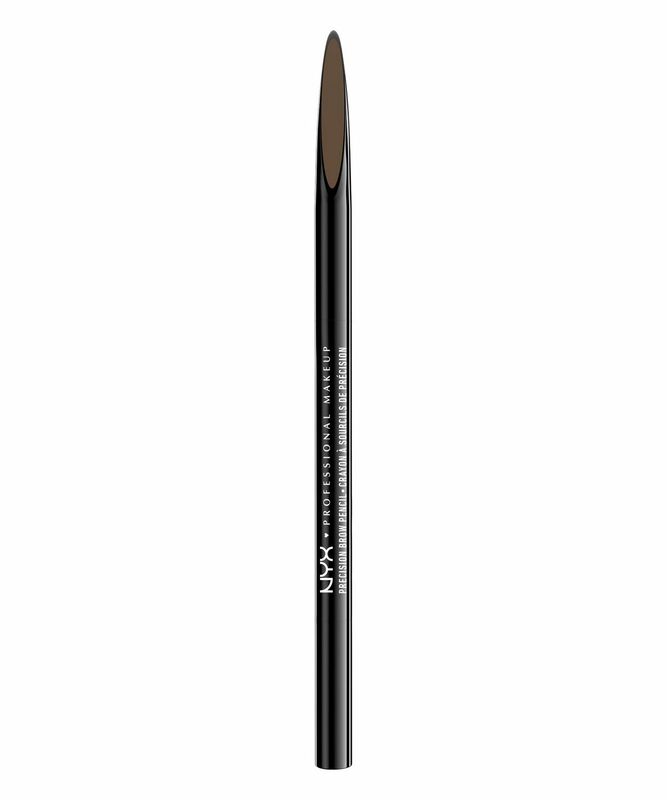 NYX Professional Makeup’s handy Precision Brow Pencil is essential for filling in sparse brow hairs and defining and tidying your arches. The flat tip allows you to outline your brows and fill them in with detailed, hair-like strokes, while the spoolie brush at the other end will help you tame, tidy and blend your handiwork. With an array of eight natural-looking shades to choose from – from ‘Blonde’ to ‘Charcoal’ via ‘Soft Brown’ – you can fake bigger brows in an instant. For best results, use short upwards stroke in the direction of hair growth. Fill in any gaps and extend where necessary, making sure to blend with the brush for even, natural looking coverage. Make sure you always do this in really, really good light, preferably sunlight, and always blend with the brush after drawing on your brow area. That's my 2nd NYX pencil and I still love it. Very precision, very nice taupe color, soft enough but stay on the brows all day. Little like Anastasia's one but cheaper. I will buy it again. Delivery was also free, standard Royal Mail, week before Xmas but still arrived very fast. Thank you. I am not good at doing my make up and I'm super lazy but this is the easiest thing in the world to use! Makes my brows look naturally thicker and stays on so well. It should not be this cheap! I’m in love, go buy it.